our priority to see each new patient within the same week. He specialized in both Adult and Pediatric Patients. care in our state of the art facilities. are fully addressed and they can reach us at any point. We accept and work with most Medical and Dental Insurances including Medicare, and we work with patients with no insurance. University (OHSU) Hospital, Portland, OR. 2009-2015. Department of General Surgery, Los Angeles, CA. - Medical Degree (M.D.) - June 2012: Oregon Health and Science University, School of Medicine, Portland, OR. - Doctor of Dental Medicine (DMD) - May 2009: University of Pennsylvania, School of Dental Medicine, Philadelphia, PA, 2009. 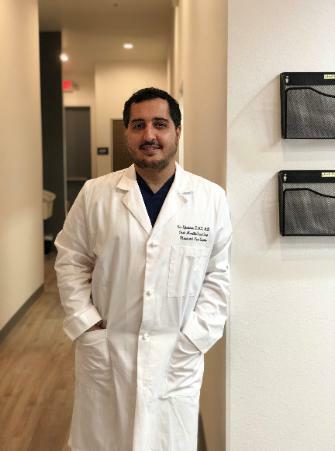 Siavash Siv Eftekhari, DMD, M.D. facial and neck anatomy and reconstruction. Surgeries & Pathologies of the Thyroid and Parathyroid Glands. make an appointment. Same day appointments also available for urgent cases. cases and reconstructive oral surgery, Dental Implant surgery and Sedation.